Looking for a compact dresser, a space to store all your daily skin and hair essentials? The Bergen Dresser is the best fit for your bright master bedroom. With the compartments so deep and narrow, storing gets easier. 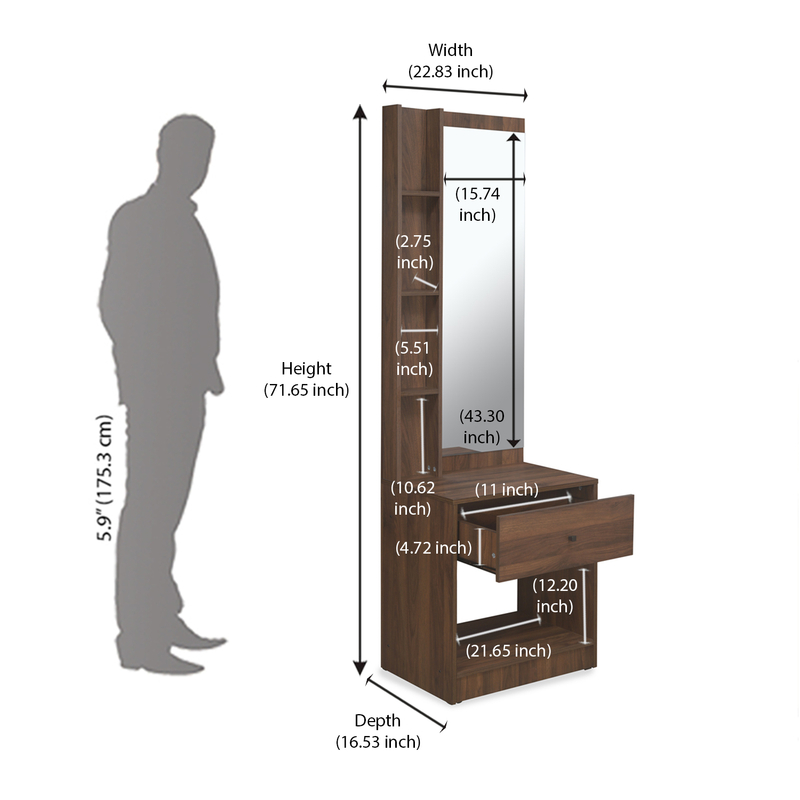 It comes with a tall mirror, fulfilling the purpose of a dresser just about right. The shade of brown seems to be the apt most for your tenuously shades wall. It blends with the rest of your embellishments too, making the room the most ideal one with all basic amenities required.